You Could Be Part of Star Wars: Episode VII! Want a chance to be part of Episode VII? Here’s your chance! Omaze is doing a donation that will benefit kids around the world. As a benefit, with your donation you can enter a chance to be in the next movie! Just click on the link below to choose your entry level and collect a few cool prizes along the way! Help make a brighter future for the world! Star Wars fans, movie lovers, and dreamers, this is it. The return of the most beloved franchise of all time, and we’re excited to share it with you in the biggest way possible: by giving you the chance to be immortalized as a member of the Star Wars universe. You and one lucky friend will be flown out to London, where you’ll go behind-the-scenes on the closed set of Star Wars: Episode VII as our VIP guests. You’ll watch the filming and meet the newest members of the cast, but that’s not all. You’ll also be in the movie! You will be transformed by our makeup and costume teams into a Star Wars character to be filmed for an actual scene in Episode VII. 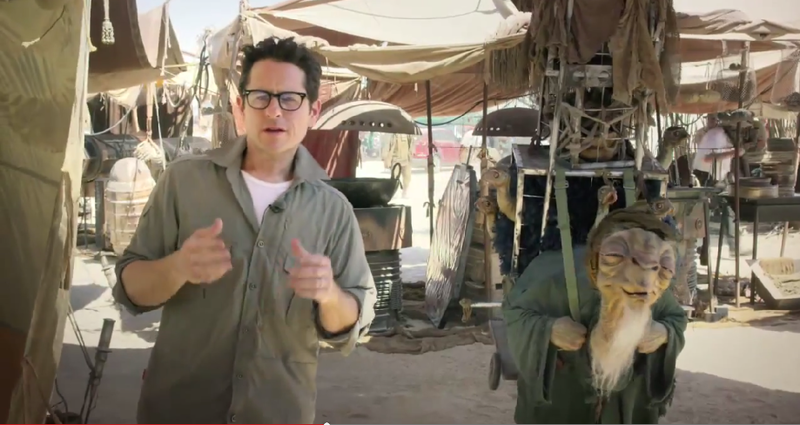 And here’s a message from JJ Abrams himself! Previous Previous post: Rumor: Adam Driver is Going to Play the Son of Han Solo? ?